There are inspiring places I return to time and again. 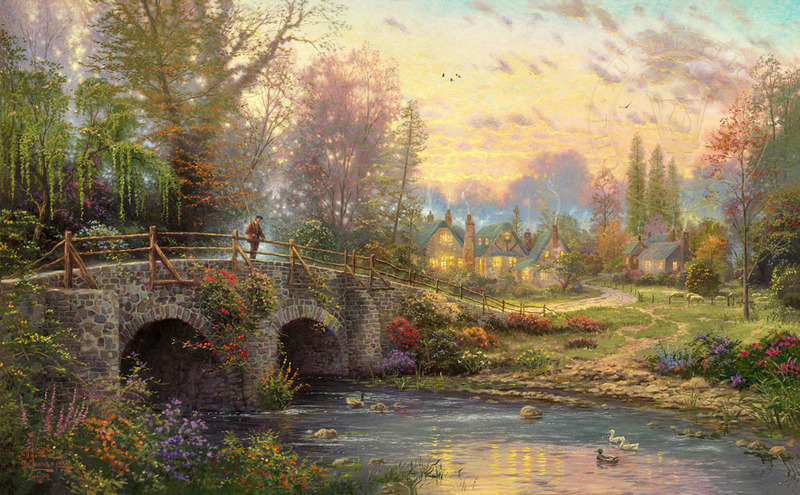 The English Cotswolds of the Cobblestone Lane series are one such favorite destination. Throughout the series, I've imagined that our journey would end at just such a destination as we discover in Cobblestone Evening. We've come full circle with this classic English village; fittingly, our ramble ends at just that breathless hour when the plump trout are biting in the brook, and stillness wraps the land in a fleecy blanket of perfect peace. Cobblestone Evening ends one journey, but promises others.